Windows Hello allows for a more natural way to access your Windows 10 device. With a simple look, your device knows it’s you – and only you. All this is now fully supported by the world’s first and only external eye tracker validated by Microsoft for facial recognition. The Windows Hello biometric functionality relies on images provided by Tobii sensors, to harmonize with Microsoft’s face recognition algorithms. These algorithms determine the identity of the user, allowing them to log in securely to their devices. To be able to start using the Tobii Eye Tracker with Windows Hello, you will need to install the latest Tobii software. Please select the correct tab for your product. Download and install the software that matches your device. Follow the instructions in the installation guide. Open the Windows Start menu, select your Account and click on Change Account Settings. To proceed, set up a PIN code. Click on the Add button under PIN and follow the steps. Then the options to set up Windows Hello with facial recognition will unlock. After selecting a PIN, you’ll be able to choose Set Up under Face. If you’d like to get some more detailed background information on Windows Hello click Learn more or just click Get Started to continue. 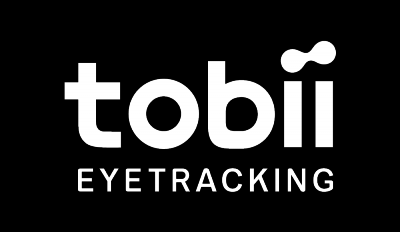 The camera in the Tobii Eye Tracker will now help you position yourself in front of the screen by showing a live stream through the camera. After positioning yourself successfully in front of the camera, the face recognition setup will begin automatically. Once you’ve successfully completed the set up, an option to Improve Recognition will be available. This can be quite useful if you sometimes wear glasses so you will be recognized both with or without them. Check out the video below where we show you step by step on how to set up the Tobii Eye Tracker with Windows Hello.